Okay, so the set is ACTUALLY called Sleigh Bells, but we all know that JINGLE bells is what I'm going with here, right? Right. K. Glad we got that cleared up. However, this IS the newest fabulous set from CAS-ual Fridays Stamps and I am loving it!!! Okay, so first of all, Silver Bells is my favorite classic Christmas carol of all time. I just love that song! When I saw this sentiment I was so excited! I absolutely LOVE IT! And the bells... yup... stamps WITH coordinating dies! And I love that! LOVE! I created the card base by die cutting a circle with the Spellbinders Pierced Circle dies and then I adhered a sheet of acetate for a clear window. 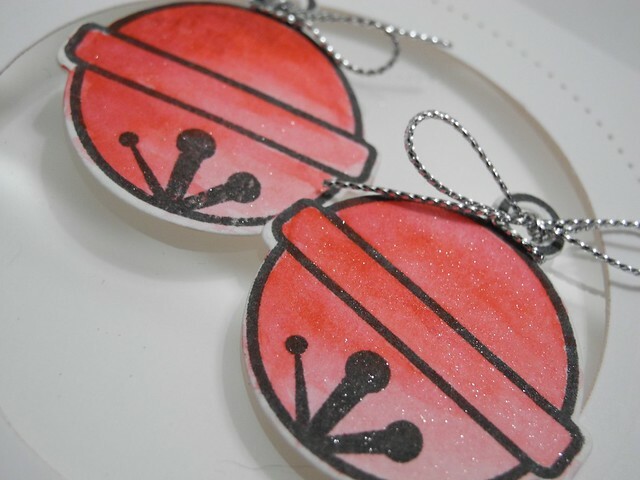 I watercolored the bells and then went over them with my Wink of Stella Clear brush to add a BUNCH of happy sparkle! I love it! They just SHIMMER!!! Be sure to head on over to the CAS-ual Fridays Stamps Blog to check out what the rest of the Ink Squad has created and to comment to WIN this awesome stamp set!!! You will love it. I promise. For reals, though. 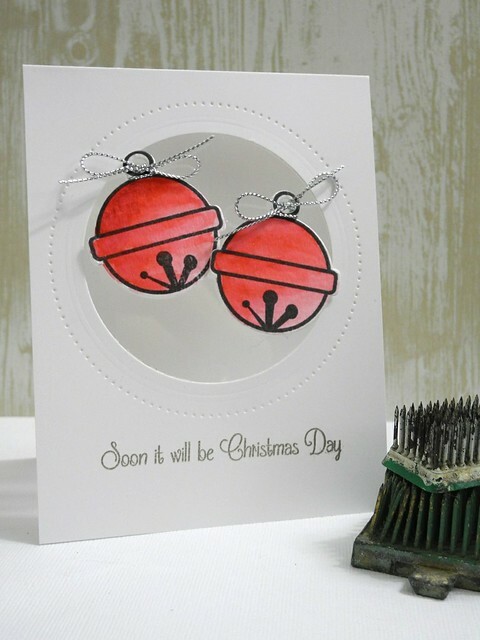 They look like Jingle Bells to me : D. Beautiful card! To paraphrase Polar Express, Believing is Hearing! oh wow this is so pretty.. I will only refer to it as Jingle Bells from now on lol. Great card! I agree with the Jingle :) love those floating bells and the shimmer on them ! Very pretty and jingly! The sentiment is really wonderful and I love the shimmer on those bells! Thanks so much for sharing! I love your big bells!! LOL! Yeah, this is totally AWESOME!!! Love your watercolor bells with the shimmer! Love, love, love! I totally can't use this set without thinking of you, Jingle!! : ) LOVE how crisp and fresh this one is!